Differences in standards may be necessary for any number of reasons: cultural, political, legal or financial. The following example helps to illustrate how the relationship between metrology (i.e., the science of weights and measures) and standards traces back through time . . . 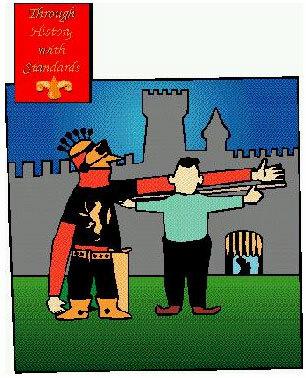 Jumping forward several centuries to 1120 AD, King Henry the First of England made his contribution to the standardization of measurement by instituting the Ell, which was equivalent to the length of his arm. There are no field trips for this lesson.